With the upcoming renewal of the 2018 Porsche Macan , arrive the incorporation of new engine blocks. 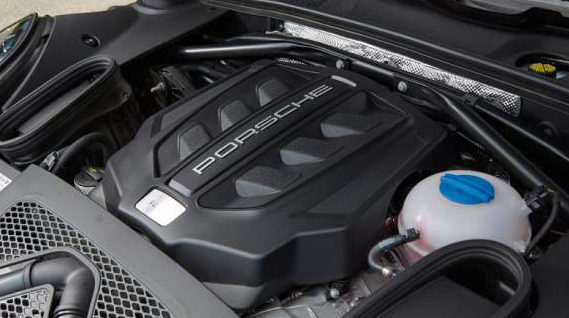 This time, the Macan will feature 6-cylinder gasoline with turbocharged V-engine, which promises to improve efficiency and performance to those already known. The new propellers will be developed in conjunction with Audi. In addition, the Macan will come with a pool of aesthetic improvements of which we can quote some elements such as; some renewed for rear front blows; incorporation of new optical groups or an improvement in level of apparent quality. The introduction of KoVoMo (Konzern Vee Otto Motoren) engines from the Porsche-Audi partnership, could be finalizing the details… There will be two different versions of these new engines. On the one hand, the new 3.0 will mount a standard turbo with an 11.2: 1 compression ratio. It is capable of developing a power of about 330 hp at 5400 rpm and a maximum torque of 450 Nm at 1340 rpm. This motorization is offered in the level of access in the range of the Panamera. This new engine comes to replace the current 3.0 liter that yields a power of 340 hp at 5500 rpm. The maximum torque figure is 460 Nm at 1450 rpm. At present, we can see it in Macan S. As a curiosity, there is an optimized version to get the most out of it; this corresponds to the Audi S4 whose power figure reaches 354 hp. The second engine block, consists of a 2.9 liter which has been incorporated a larger turbocharger compared to the previous. It has a lower compression ratio and the figure is 10.5: 1. Mounted on the Panamera 4S; this version is capable of generating 440 horsepower at 5,600 rpm, with a maximum torque of 549 Nm. This prowess of the engineering will come to substitute the current one of 400 hp to 6.000 rpm, which incorporates the Macan Turbo. In short, the “facelift” of the Macan will be loaded with novelties, both aesthetic and mechanical. Probably the arrival of the Jaguar F-Pace along with the presentation of the Range Rover Velar are two good reasons why Porsche “put all the meat on the grill” with the small of the house.